Only $147 Per Month for 2.48 ACRES! Instant Equity. This parcel sits on level ground in Johnson Valley in San Bernardino County, CA. This vacant land is located on Joshua Tree Road, just 1/3 mile west of paved Larrea Road and 1.2 miles south of CA-247. From here, you are 39.5 miles east of Apple Valley and nearby Victorville. If you purchase this property, a donation will be made to charity! No Credit Checks – Everyone Qualifies! Includes FREE Title Search ($175.00 value)! Utilities: Extend utilities to property at buyer’s expense. Electric at road. Well or cistern, and Septic needed. Additional Notes: Title will be delivered free and clear of all liens. PAYMENT PLAN: ONLY $147 per month for 50 months (0% interest) OR… GET STARTED! SINGLE PAYMENT: One payment of $5,997 (Save $1,353 compared to the financed price! )… GET STARTED! NO RISK TIE-UP FEE: We understand that you may be unhappy if you drive all the way out to see a parcel of land, just to find out that someone else has purchased it right out from under you. That’s why we created the Tie-Up Fee. For just $35.00, we will hold the property for you for up to 7 days while you conduct your due diligence. This money is fully refundable if you decide not to move forward. If you do decide to move forward, we will simply apply it towards your initial Earnest Money / Processing Fee… TIE-IT UP! PROCESSING FEE / EARNEST MONEY: Contracts for Sale will be prepared and sent to Buyer for review subsequent to receipt of a Non-Refundable Earnest Money / Processing Fee of $99.00. 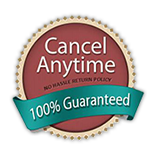 (Fee is non-refundable unless Contract terms are unacceptable to Buyer and Contract is not signed or desired parcel is unavailable. Fee may be applied to any other property up to 365 days from date paid. )… GET STARTED! TITLE & USE: You can use the property during the monthly payments! Title will be delivered FREE and CLEAR once property has been paid in full. We will pay for recording and the County will mail your deed once recorded. Click the “Buy Now” button to pay your Earnest Money / Processing Fee to get started. Please note the parcel number and county and state in the fields provided (and any Promo Code), if you have this available. We will contact you to confirm your name, contact information and who should be listed on your Purchase Agreement and Promissory Note, if any. You will receive your Agreement(s) within 24 hours by email with further instructions. If you have any questions, please contact us at 216-925-5125. Click the “Buy Now” button to get started owning the land of your dreams! Despite our best intentions, we sometimes find that it would be great to have a reset button and unwind what we did. With investments that usually doesn’t exist! For example, I made a small investment in this hot technology company and within one month of me buying, the stock dropped 30% in value. Sadly, there was no guarantee. 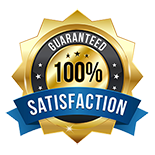 I want you to buy land with confidence, that’s why all of my land offerings come with a 100% satisfaction guarantee. Yep, you read that correctly, if you’re not satisfied with your land for any reason, we will exchange your parcel for another one within 365 days – no question asked! Money already paid, less a Swap Processing Fee, will simply be applied to the new parcel price. If there is a balance owed, you simply pay the difference or begin making payments on your new parcel, just like you were before (if utilizing our seller financing)! And this will be in writing in your purchase Contract! I only wish my stock came with the same guarantee. If you decide to utilize our seller financing and you are unable to continue making payments for any reason, let us know and you won’t owe us anything further. No balance owed, no debt, no collection, no lawsuits – no hard feelings! And you can then rest easy knowing you can apply all the money you paid to another parcel within 365 days, allowing you ample time to get back on your feet! COPYRIGHT © 2019 TRUDREAM PROPERTIES, L.L.C. Rest assured, we will never give away, trade or sell your email address.